Autumn is a fascinating season of the year where it’s delightful to see the rolling hills around the Ozark mountains transform from verdant greens into a vibrant palette of varying shades of red, orange, and yellow. There are many fantastic ways to experience great outdoor fun during autumn season. This includes self-guided scenic driving tours, ziplining, and cruising on the lake. For those who live near the Lake of the Ozarks, you enjoy the beauty of Autumn Outdoor on a daily basis, but for visitors, just driving from their lodging to wherever their trip may take them, it can be a very special experience. By taking self-guided scenic driving tours on the main roads through your journey can reveal many colorful surprises such as seeing beautiful colors of leaves that turn yellow, orange, and red that changed recently from vibrant green. 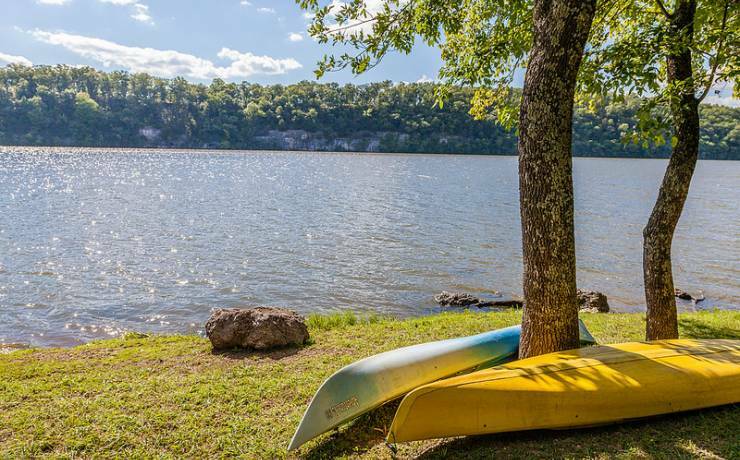 Missouri’s most visited park and its largest at 17,626 acres, Lake of the Ozarks State Park boasts 12 hiking trails that range from 0.8 of a mile to 13.5 miles winding through the park, including trails that accommodate mountain bikers and equestrians. These trails are great for leisurely strolls and more vigorous hikes through a variety of terrain and ecological systems, including hardwood forests, glades, fens and prairies. This park is also popular for anglers and boaters as it also offers boat rentals, public ramps, and docks. Autumn is a good time to zipline in Branson than doing it during summer season. With the zipline adventure in Branson, you can have the opportunity to see the beautiful of autumn as you fly high above the colorful trees. Ziplining is such a thrilling outdoor fun adventure that will let you feel the adrenaline rush as you take a breathtaking and heart-pumping zipline ride experience. This great outdoor adventure will surely give you a complete and fulfilling vacation when you see beautiful colors of the trees that turn into luscious red, yellow and orange. Cruising on the lake is another great idea to enjoy the outdoors in Branson during autumn season. If you like to enjoy seeing spectacular colors during this season, take an exciting river cruise and enjoy the colorful rolling hills around the Ozark mountains while aboard on one of the river boats from Branson’s Lake Cruises. Lake Cruises in Branson offer exciting river cruise for individual or groups from Sunset Cruises to exciting Dinner Cruises. Enjoy sightseeing cruises around Lake Taneycomo with the two beautiful river boats namely Lake Queen Paddleboat and Landing Princess Luxury Yacht. Cruising along the lake will let you enjoy an exciting river cruise and enjoy a breathtaking experience on spectacular colors of trees that turn into luscious colors of red, orange, and yellow that you can see along the lakeside. Branson’s Lake Cruises offer river cruises ranging from romantic dinner cruise for two or family fun cruise with guided sightseeing tours. Outdoor fun in Branson can be enjoyed in many ways during autumn season, these outdoor itinerary ideas can help make you enjoy the beauty of the Ozarks.